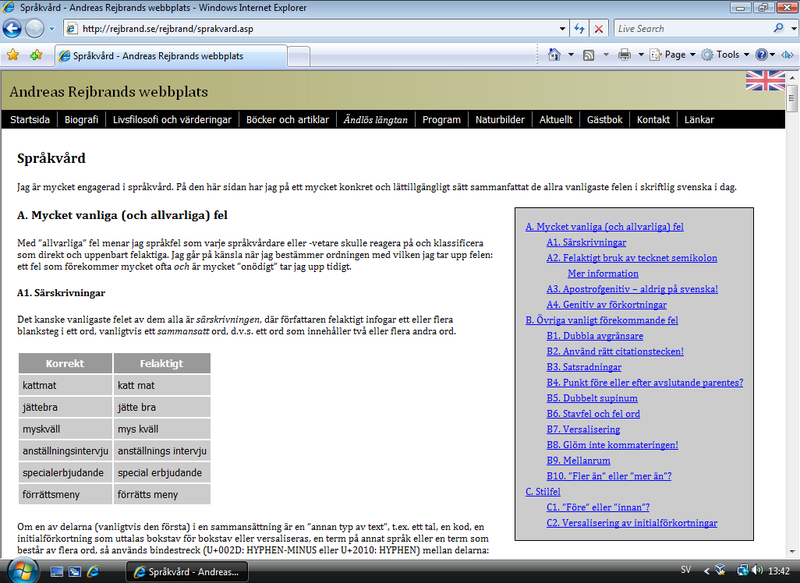 Some time ago, I noticed that the horizontal spacing in the TOC was too large in IE7. I didn’t care much about it then, because this was only a minor esthetical issue present only in very old browsers. However, I recently accidently found out the cause of this behaviour. In most modern browsers, the horizontal indentation in a UL (say) is done by the rule padding-left: 40px, and the left margin is zero. Consequently, to change the horizontal indentation (for instance, to remove it), you have only to change padding-left. 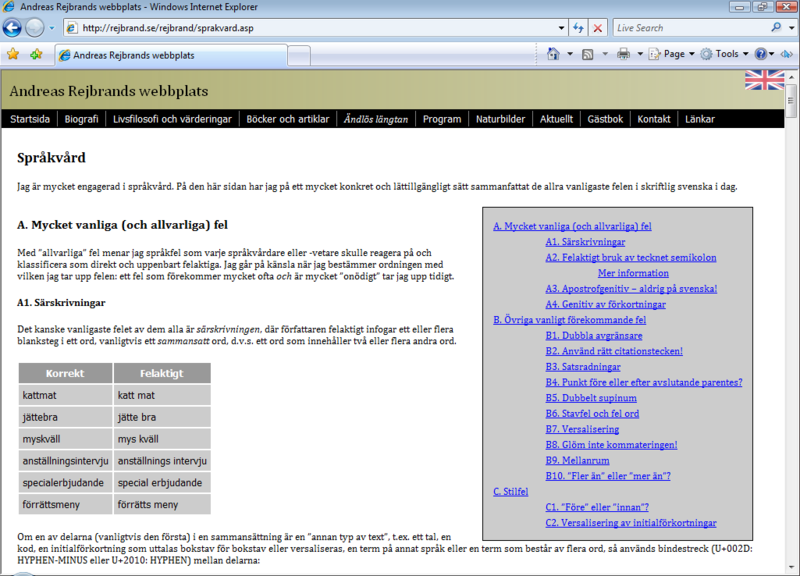 But IE 7 and below creates the horizontal indentation using margin-left: 30pt instead. In fact, I do not know of any specification saying that the left margin must be implemented using padding, so it was a bit thoughtless of me not to consider the margin in the first place. See the change in IE7 on Windows Vista: Before and after. Update (2014-11-21): Well, the HTML5 specification suggests that padding-left: 40px be used for lists (OL, UL).